Wire size AWG #10 and smaller, 30 amp, 600 V, UL & CSA rated. High temperature 302 degrees . American made. Choose between 2,4,6,8 or 10 terminals. 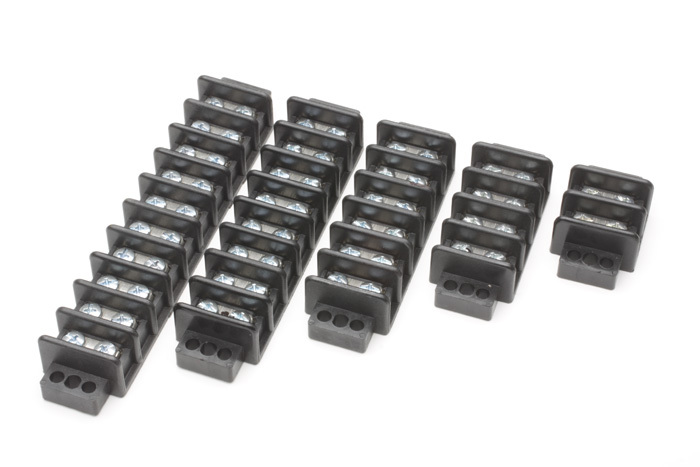 Terminal Block, Contacts 10 / ea. Terminal Block, Contacts 2 / ea. Terminal Block, Contacts 4 / ea. Terminal Block, Contacts 6 / ea. Terminal Block, Contacts 8 / ea.